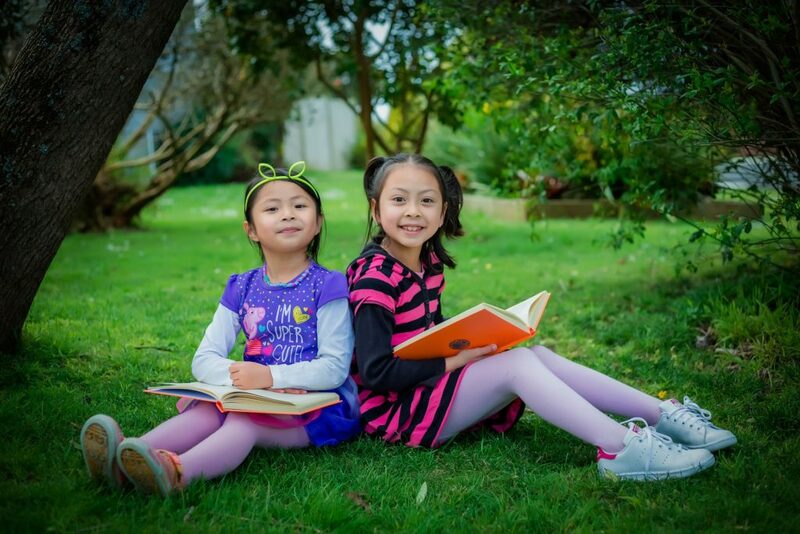 The less hectic days of summer can be a wonderful opportunity to experiment with new ideas, try out a new routine, and maybe even develop some new, healthy habits that will carry over into the school year. Here are some ideas to get you started. Teach your kids to how to cook. 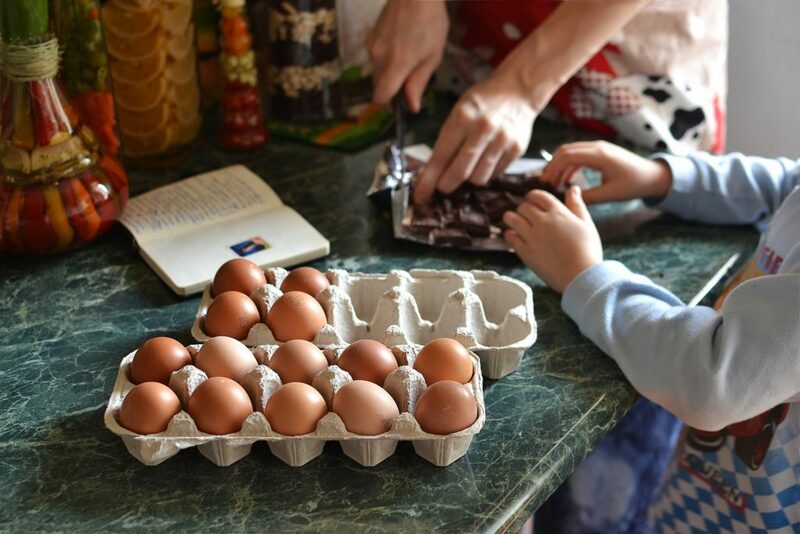 Maybe it’s a family recipe from your childhood or their favorite food, teaching children how to cook can be fun at any age. Check out the post “Kids Cooking Camp at Home” at thirtyhandmadedays.com to help guide you with age-appropriate kitchen tasks as well as menu ideas for getting started. For your teenagers, why not start a new routine and have them choose, shop for, and cook a meal once a week? It’s a wonderful way to build independence and self-esteem. Studies show that when people spend time outside incorporating nature into their daily lives, they are happier and healthier. So, go play at the park, take a walk in a nature preserve, get dirty in the garden, go for a bike ride, take pictures of flowers or bugs or clouds, play in a puddle after it rains, wash the car, play a game, or go on a nature scavenger hunt. 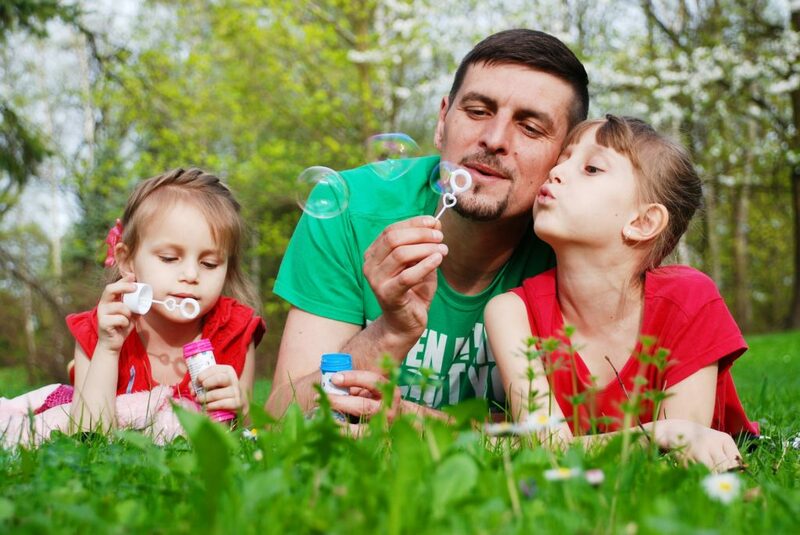 Here are some other fun outdoor activities to do with your kids. Just get out in the fresh air and the sunshine and have fun - but don’t forget the sunscreen and the bug spray! Experiment with healthier eating habits. Summer brings a bounty of fruits and vegetables from local farms. 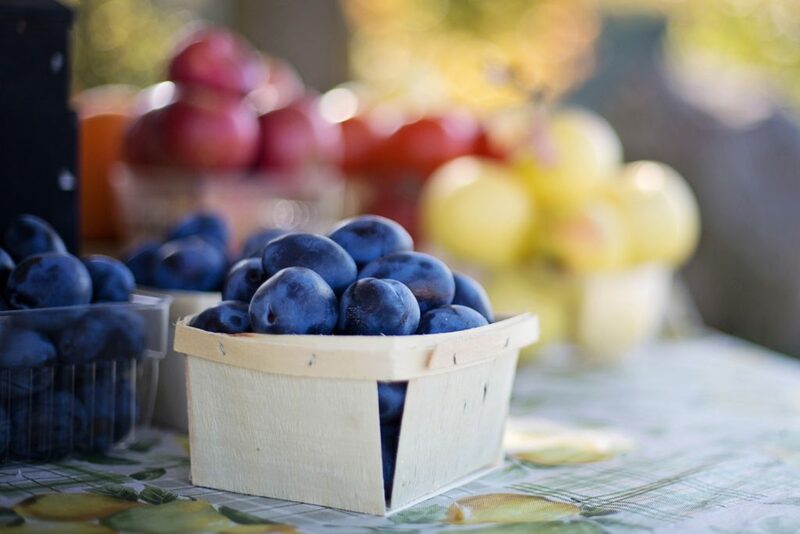 Stop by your local farmer’s market with your family to explore the amazing options and let them pick their favorites. To encourage healthy eating over the summer, keep healthy snacks within reach. Experiment with smoothies – they are a great way to load up on fruits and vegetables. Have your children design their own trail mix for an energy boost on your next bike ride. Skip the juice and make your own flavored water with lemons, watermelon, berries, even cucumber. Check out foodnetwork.com for lots of kid-friendly, healthy summer recipes. Create art as a family. Art can be a great way to reduce stress and anxiety, help us to clear our minds, and express ourselves even when finding words can be difficult. Art can teach us about each other and build self-esteem and greater understanding. Have each member of the family make a collage from old magazines, old cards, drawings, or stickers to represent themselves. Create happiness rocks for the yard or paintings to hang in a family gallery. Finding creative outlets will help you and your children during those more stressful times of the year. Check out this list of fun family arts and crafts projects to get you started. The website growingbookbybook.com has created a wonderful program including monthly book recommendations, themed menus, conversation starters, activities, and even family service projects meant to bring your family closer together over good books, good food, and great conversation. For 2018, the Family Dinner Book Club list focuses on character or you can check out 2017’s Book Club list focused on travel with books and menus from around the world. According to the Kaiser Family Foundation, the average 8- to 10-year-old spends almost eight hours a day and the average teenager eleven hours per day in front of a screen. A digital detox could be as simple as limiting tech usage to certain times of the day or a bigger goal of trying to fully disconnect for a family vacation. Either way, summer can be a perfect time to disconnect from tech and reconnect with each other. And don’t forget, the digital detox isn’t just for the kids – we can all use the opportunity to break the digital habit. Learn more about the how to create a healthier balance of technology use for everyone in your family here. Establish a regularly scheduled Family Game Night. 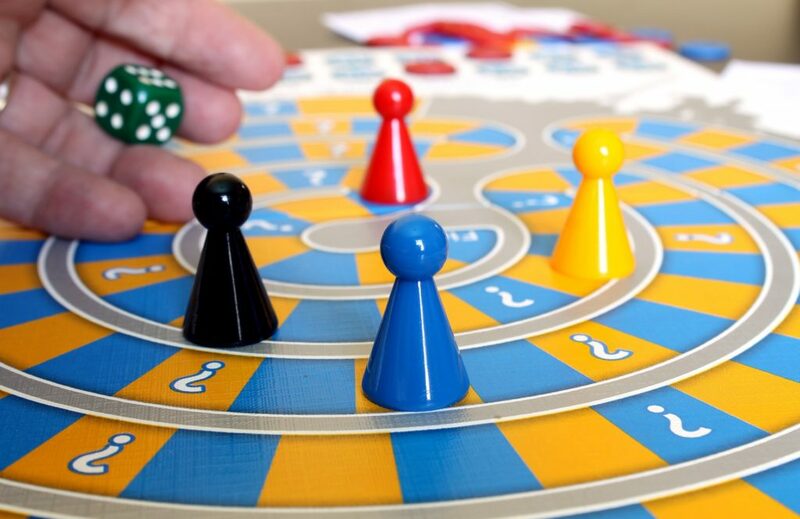 Whether it’s Operation or the Settlers of Catan, Connect Four or the Game of Life, there’s something for everyone at Family Game Night! Games provide an opportunity to develop fine motor, critical thinking, and problem-solving skills as well as practice cooperation, communication, and conflict resolution. Research shows that games even increase academic performance. But, most importantly, they are a fun way for families to bond. Check out this list of 50 incredible board games perfect for Family Game Night. Whether you just want to see what all the buzz is about or you want to dive into a 21-day mindfulness challenge, summer is the perfect time to learn about the basics of mindfulness and how you might incorporate mindfulness techniques into your family life. There are lots of great websites for information and ways to get started including blissfulkids.com, leftbrainbuddha.com, and mindful.org. Set aside a night of the week for Family Movie Night. Pick a theme, create a picnic dinner on the floor with a big bowl of popcorn, or snuggle on the couch in your pajamas. Family Movie Night is a wonderful way to bring your family together each week. Check out Common Sense Media for age-appropriate movie titles or Timeout.com for a great list of 50 movies to watch as a family. Check out Very Well Family’s list of 100 Summer Fun Ideas for Kids and Parents or Good Housekeeping’s 40 Boredom-Busting Activities to Do With the Kids for more fun family activities to do with your kids that are perfect for summer. Whatever activities you decide to try, summer is a terrific time to explore, experiment, and create memories with your family and friends that will carry over into the rest of the year. Wishing you wonderful summer of exploration!